It always starts with a detailed conversation about the clients’ expectations and aspirations. We create a vision of luxury for clients who want it, and work very hard to make it a reality. For those who want the best, we leverage our rich network of contacts who help deliver spectacular experiences. OUR CLIENTS believe exceptional vacations are a requirement, not a luxury. You and your family will enjoy privileged access to a SELECTED collection of luxury vacation options around the world, each vetted to ensure trips meet or exceed expectations. WHAT do we do for them ? A cruise travel or vacation planned by SAN DIEGO Travel always guarantees that there will be the highest level of amenity package or special shore excursion included and that the overall experience will be beyond expectation. Our B2B relationships are the best and help our clients get the most from their destination experiences. Years ago we noticed that discriminating travelers were turning to the web for advice and better prices on travel bookings. Service online is a non existing quantity and often times these clients needed help to put the pieces together. To enhance our commitment to Concierge-style service we assembled an elite team of consummate Travel professionals within our agency. These travel experts have the most experience and know how, coupled with the highest buying power. Together, this team can provide you with the best price, the most knowledge, and the best service in the industry. Give our experts a chance to prove to you why this is the last call you will have to make for all your cruise and travel needs. San Diego Travel is a shareholder of the leading Travel Agency consortium, Ensemble Travel Group. This relationship provides our clients with discounted cruise travel, hotel and car rates, shipboard and resort credits, upgrades, free nights, and a host of other amenities of significant value. WHY should you use SAN DIEGO TRAVEL ? We're changing the value of Travel agents with every satisfied traveler. We are with you from start to finish. You describe your perfect travel experience and an SAN DIEGO agent will provide you with the perfect options. A full itinerary is built and an agent is on call to support you throughout your trip. 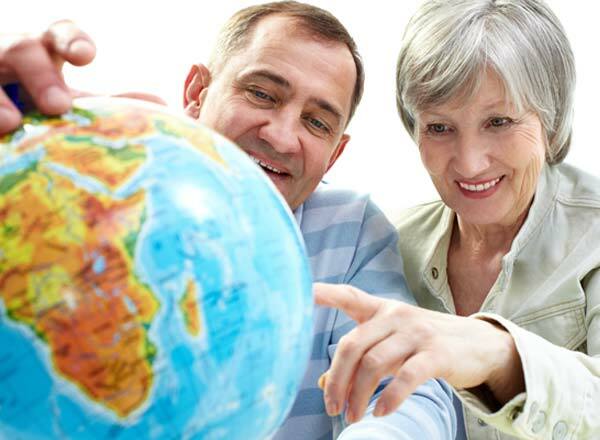 Our travel agents have experience in specific regions, travel styles, and travel types. Don't settle for the basic options the Internet provides. Speak to one of our experts today at 619-2251233, who can match your expectations to an experience. Our travel agents have experience in specific regions, travel styles, and travel types. Don’t settle for the basic options “The Machine” provides. Speak to one of our experts who can match your expectations to an experience. You can find a great deal through “The Machine” but you need to wade through an avalanche of options for basic trips. When working with an experienced travel agency you benefit from our industry connections, our agents’ insider knowledge, custom itineraries, special promotions, and free amenities. We are with you from start to finish. You describe your perfect travel experience and you will be provided with the perfect options. A full itinerary is built and a travel agent is on call to support you throughout your trip. Have you tried to navigate through a voice-command phone directory lately? Using “The Machine” to book your travel can be just as difficult. Use SAN DIEGO TRAVEL to gain the human touch that provides insights, recommendations and support before, during, and after your trip.